The iconic portage sign that we have all come to know and love has always depicted a man on the trail. 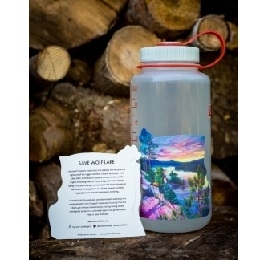 Created by Badger Paddles artist in residence, Fiona, this portage signage celebrates woman in the outdoors. 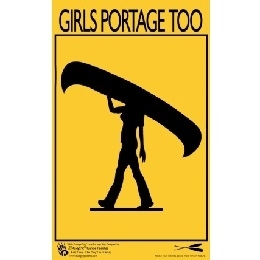 Because, well, girls portage too, right? !